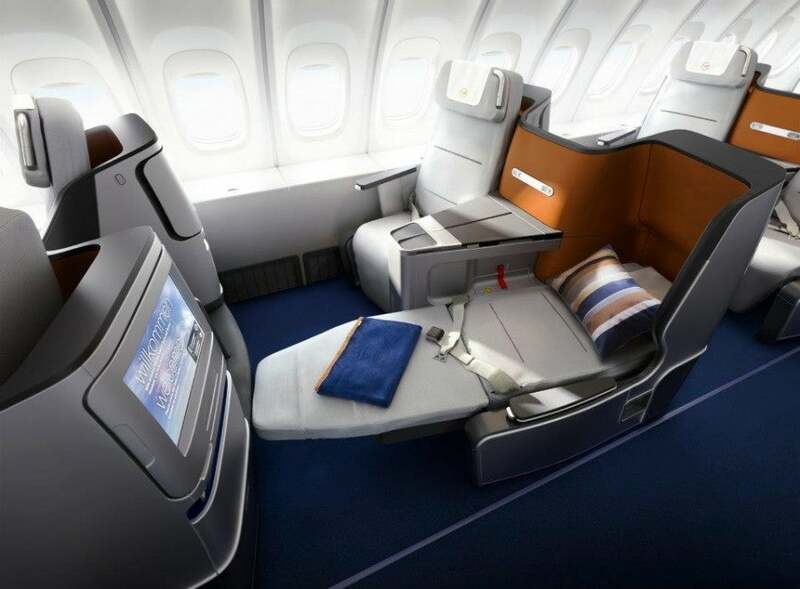 The new Lufthansa business class seats are angled toward one another like on Cathay Pacific. Lufthansa has unveiled a new business class seat, which the airline plans to put in its forthcoming 747-800 aircraft from Boeing (which it will hopefully start taking delivery of later in 2012). It’s about time since the current business class seats on the airline’s long-haul fleet, including the A380 I recently flew on the Star Megado, are still the old angled lie-flat which I find pretty uncomfortable. The new seats are fully lie flat. About time! These new seats will be fully lie-flat, and nearly 2 meters long (it’ll be 6 feet 6 inches), no specified width yet, though they’ll have 15.4-inch entertainment screens mounted in the seatbacks. They look kind of like Cathay’s new seats aboard the 777, which are angled with the heads at a good distance apart but the feet pointed toward the neighboring seat, which the airline calls the “V” configuration. The airline also says it has plans for an “H” configuration in which the seats will be angled away from each other—probably for use aboard the A380 when the airline retrofits it in the future. Passengers seated on the window will have to climb over their seatmate to access the aisle. Unlike Cathay’s seats, however, which are in a 1-2-1 configuration so that you don’t have to climb over anyone else to get out of your seat to the lavatory, it looks like Lufthansa’s will be 2-2-2 on the main deck and 2-2 on the 747’s upper deck, so the people at the windows might have some maneuvering to do. 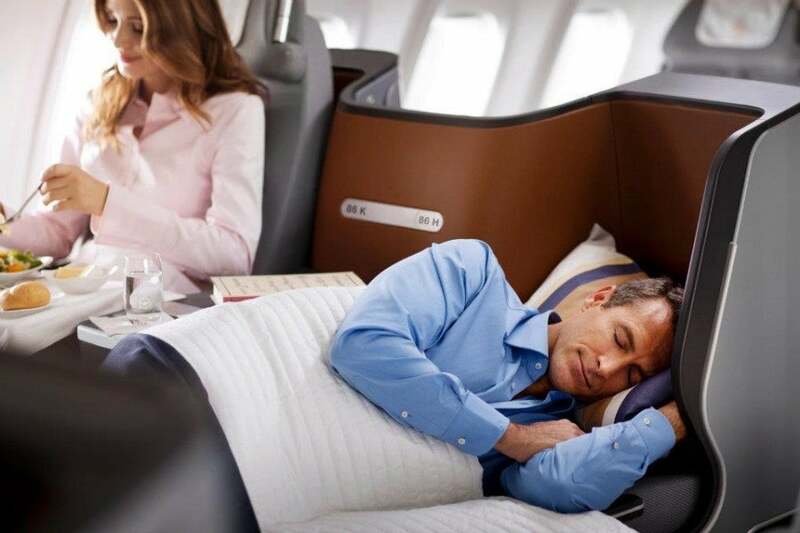 Still, this is good news since Lufthansa has needed an updated of its business class for a while, and it’s great news for Star Alliance flyers since the airline tends to have great award availability. Hopefully that won’t change with the advent of these new seats as more flyers opt to take Lufthansa instead of other Star Alliance partners! For more photos, Australian Business Traveller has a great gallery here, and Lufthansa has a cool video with renderings of the seat at this link. Note: Photos by Jens Goerlich courtesy Lufthansa’s site.